This was the fifth book by Fulton J. Sheen that I read this year. With each book that I read I find that with each book I read the more of his writings I add to my reading list. This book was an amazing read. It was very interesting reading Sheen's theology of Mary our Mother and her role in leading people to Christ Jesus. 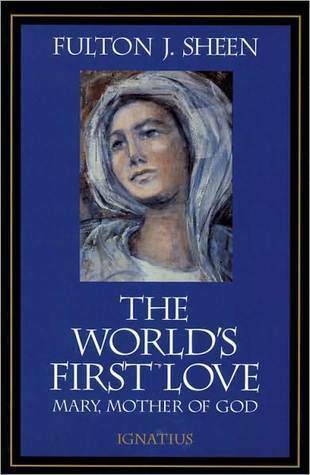 And this book with its focus on Mary and Marian theology is inspiring. 4 When Did Belief in the Virgin Birth Begin? It was very interesting reading about Sheen's focus on Mary in relation to the former Communist regime. But also his thoughts on Islam. For he states: "If Islam is a heresy, as Hilaire Belloc believes it to be, it is the only heresy that has never declined. Others have had a moment of vigor, then gone into doctrinal decay at the death of the leader, and finally evaporated in a vague social movement. Islam, on the contrary, has only had its first phase. There was never a time in which it declined, either in numbers or in the devotion of its followers." And from this his focus on the need to pray to Mary as an example to witness to and bring about the conversion of this group. 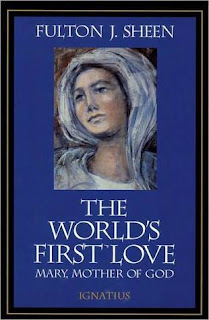 This book does an excellent job of explaining Mary's role within the Catholic church, and through her appearances, messages and ministry the job of drawing all of us home to God through Jesus. Sheen draws us in through the history of Mary and the church. And shoes her central role in history. This was another excellent read. The book concludes with these words: "O Mary, we have exiled thy Divine Son from our lives, our councils, our education, and our families! Come with the light of the sun as the symbol of His Power! Heal our wars, our dark unrest; cool the cannon's lips so hot with war! Take our minds off the atom and our souls out of the muck of nature! Give us rebirth in thy Divine Son, us, the poor children of the earth grown old with age! "Advance, Woman, in thine assault upon Omnipotence!" Shame us all into enlisting as thy warriors of peace and love!" And this book will inspire us to grow in our faith and through that move is to action from the place of love. I highly recommend this book!